Our cat bed provides plenty of room for your cat to rest and play. Stylish and modern design can be perfectly integrated into your room. 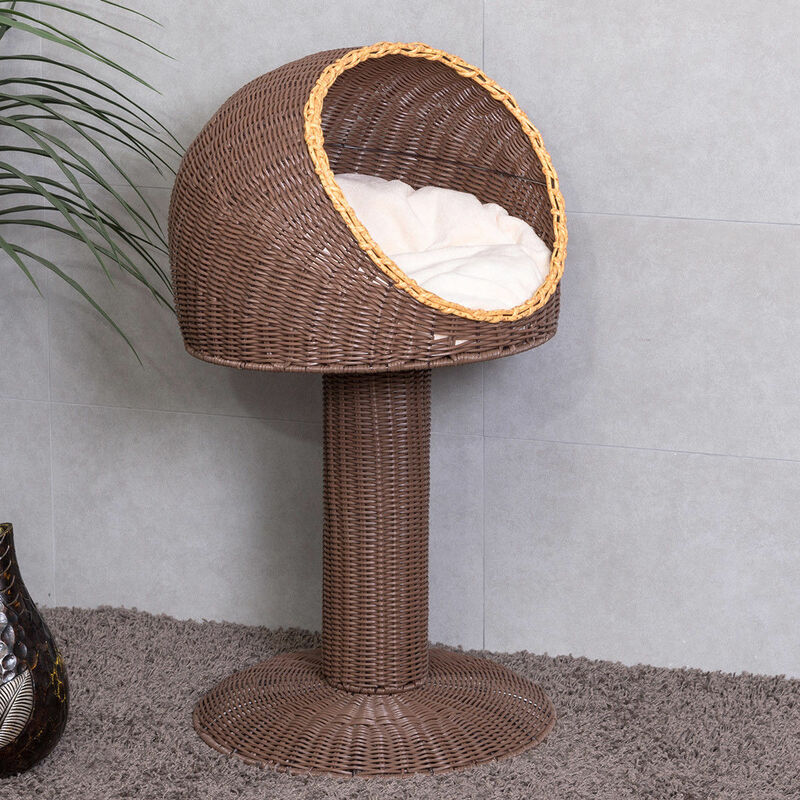 Woven from PE rattan, it can withstand the cat's grasping and biting and can be used for a long time. The sturdy metal frame keeps the cat bed stable and does not shake. It has good breathability and ventilation and can be used all year round. The most important thing is that the cat's hair will not stick to it, and it can be easily washed with water or a rag. A zippered pet pad makes your cat rest more comfortably!